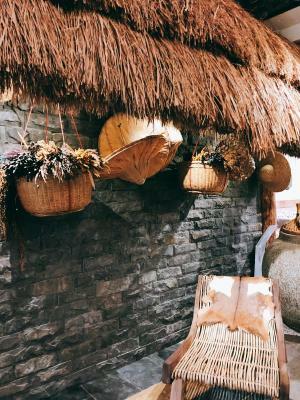 Lock in a great price for MATA Taiwanese Indigenous Cultural resort - rated 8.4 by recent guests. The hotelroom was very comfy, my friend and I had the best sleep in their bed - the room was clean, spacious and quiet, we had a view on a nearby park with lots of nature. Just a 15 minute walk away, we could find a nice night market and had a fun time there. As I have said, the sleep was the best - we felt very comfortable there! The breakfast was prepared very nicely and was also quite delicious, even though us as Germans, missed some sweet stuff, I really liked the egg and chicken with vegetables they prepared for us. There was also some bread and more at the buffet. We would definetly stay again. Beautiful views from third floor in evening with the lighting of the resort property outside. 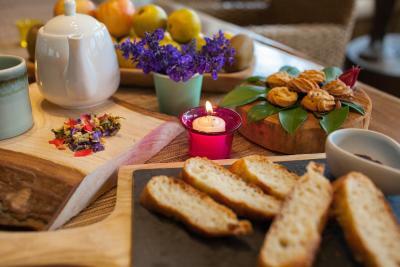 Delicious, expertly prepared breakfast included brought to the table. Inside décor really great. Comfortable room with large ceiling height windows. Great value for the money. Will definitely stay here again when in Taitung City. 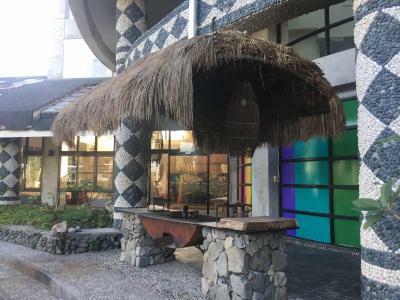 One of our top picks in Taitung City.Offering free WiFi, MATA Taiwanese Indigenous Cultural resort is set in Taitung City, 200 yards from Taitung Forest Park and 0.7 miles from Taitung Jigong Temple. The property is located 0.9 miles from Taitung Art Museum. The property is 1 miles from Taitung Zhonghe Temple. All rooms in the resort are fitted with a flat-screen TV. All rooms are fitted with a private bathroom with a shower and a hair dryer. The units will provide guests with a fridge. Popular points of interest near MATA include Makabahai Park, Wu'an Temple and Taitung Seashore Park. The nearest airport is Taitung Airport, 3.7 miles from the property. MATA Taiwanese Indigenous Cultural resort has been welcoming Booking.com guests since 2 Mar 2017. 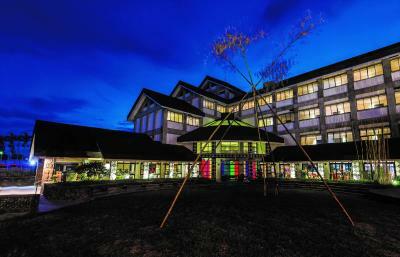 When would you like to stay at MATA Taiwanese Indigenous Cultural resort? House rules MATA Taiwanese Indigenous Cultural resort takes special requests - add in the next step! MATA Taiwanese Indigenous Cultural resort accepts these cards and reserves the right to temporarily hold an amount prior to arrival. Bedside lamps would have made the room complete, but unfortunately there were none. The bathroom looked a little too much like a bathroom in someone's home - the fancy design style that could be found in the rest of the hotel could have been more accentuated in the bathroom. Breakfast may be unsatisfactory to people accustomed to Western style breakfasts. Amazing bed! The breakfast was heavily focused on vegetables and fruit - I loved it! The room was very clean and had a lot of artsy magazines that we enjoyed flipping through in the evening. Would stay here again. The rooms are not as beautiful as on the hall of the hôtel. The breakfast Was disapointing. The décoration of the hall is beautiful. Great breakfast! Clean room! Free bike! Found body hair in a towel. A lot of bread at breakfast but no jam, butter or honey. No hand soap in the bathroom. Shower water pressure too low (on the last floor). Not a lot of choice for breakfast but what is offered is good. The room is spacious. The bed is big. The staff is nice.